Preheat an oven to 300 F.
In a large bowl whisk together the cream, half & half and vanilla bean paste. In a smaller bowl whisk together the remaining ingredients. Then slowly whisk the egg mixture in the cream mixture. Fill 6 ounces of the mixture into ramekins and place the ramekins in a baking pan. Bring a pot of water to boil, and then carefully pour enough boiling water into the pan to reach halfway up the sides of the ramekins. 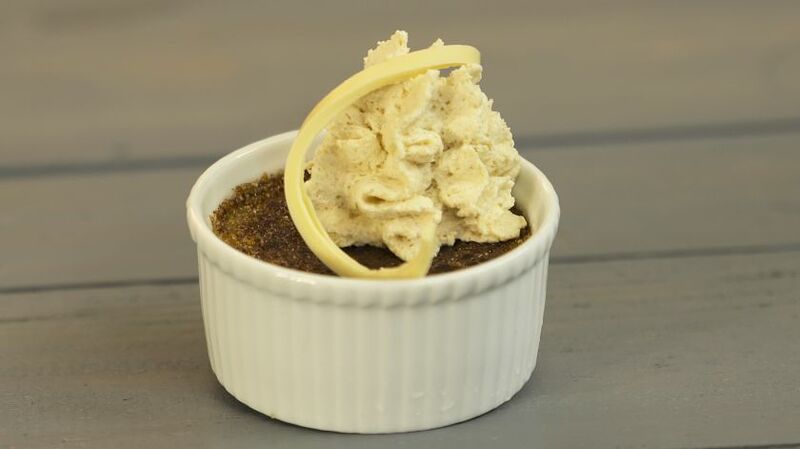 Bake until the crème brulee is softly set which is about 35-40 minutes. Remove the ramekins from the water bath and refrigerate for 4 hours or over night. 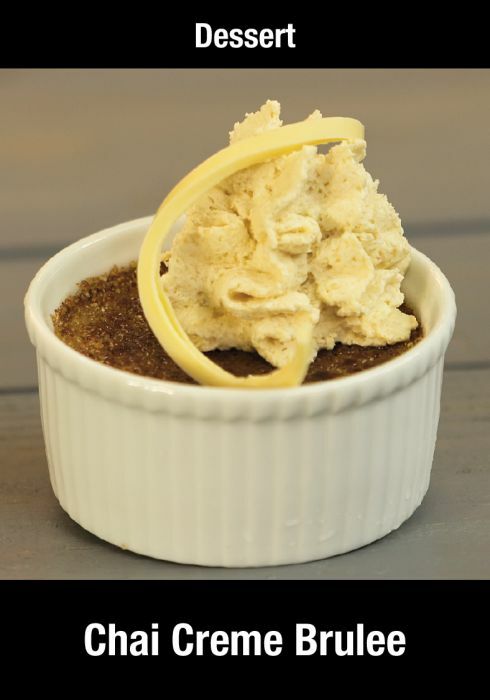 Sprinkle each crème brulee with about 1 ½ teaspoons sugar in an even layer. Using a kitchen torch lightly brown the sugar to caramelize. Let the sugar cool and harden before serving. Serve with Pomegranate Molasses whipped cream and berries. In small saucepan combine the whipping cream and Saba. Simmer over low heat till the mixture is evenly combined, about 3 minutes. Remove from heat, let cool, then place the mixture in the refrigerator to cool for at least 4 hours. Once the mixture is nice and cool. Add the cream to a bowl of a stand mixer and mix till soft peaks. Once you have reached soft peaks add the confectioners sugar and whip till medium stiff peaks. Or pour the mixture into an ISI canister and charge with a cartridge, shake and chill in the refrigerator for 2 hours.